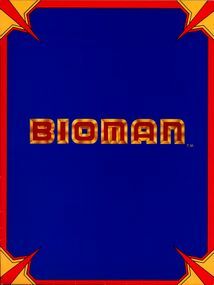 The Bio-Man logo and cover used by Saban in promotional materials. 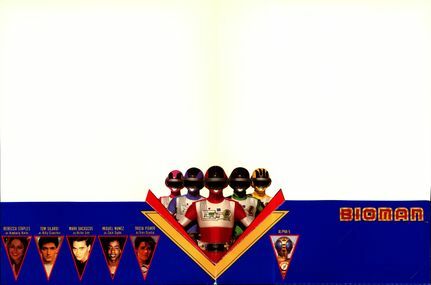 Originally airing from 1984 to 1985, Choudenshi Bioman (超電子バイオマン) was Toei's eighth entry in their long-running "Super Sentai" (スーパー戦隊) superhero team TV series franchise. In 1986, Israeli-American television producer Haim Saban produced a television pilot adapting the series for American audiences under the title Bio-Man. An article from the Los Angeles Times mentioned that actor's unions and a coalition of television producers were locked in contract negotiations. While negotiations between the two groups were settled and a pilot was filmed, Bio-Man ultimately never aired. In 1992, Saban Brands reused footage from the pilot mixed with footage from the 1992 series Kyoryu Sentai Zyuranger (恐竜戦隊ジュウレンジャー) as a promotional video for Bandai entitled Galaxy Rangers. 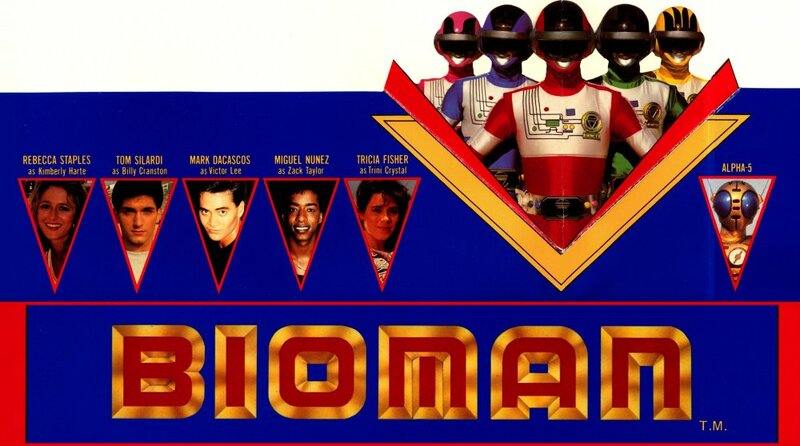 While Zyuranger would be adapted as Mighty Morphin' Power Rangers starting in 1993, it, understandably, utilized different actors from the Bio-Man pilot - which has never been released. The Los Angeles Times article makes mention of a character named Bio-Man, who would give the team their powers. This character is assumed to be a "Proto-Zordon" of sorts. Further supporting the previous claim, scans of a document cover reveal that character from the original Choudenshi Bioman Peebo, would've been re-adapted into a character called Alpha 5. Alpha 5's name was later used on the famous Power Rangers character, whom was in the role of Zordon's assistant. Peebo's role in Choudenshi Bioman was also that of an assistant character. Bio-Man would've given the powers to five teens. Just like how Zordon had given the ranger powers to teenagers as well. An interview by Den of Geek with Shuki Levy mentions a scene in the pilot where the teens are in a desert and are suddenly attacked by fighters (sent by Zadar) flying past. This is similar to how in Day of the Dumpster, the Rangers leave the Command Center into the desert below. Only to be attacked by Rita's minions, the Putties. The teenager's names were re-used in Power Rangers, albeit Victor Lee, whom was changed into Jason Lee Scott. This, however, could be explained in another context as well. 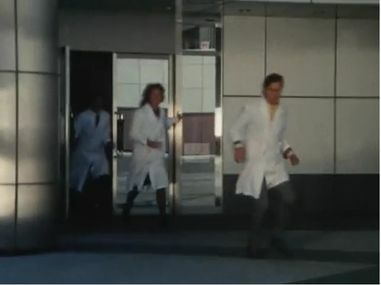 The original Power Rangers pilot re-uses footage from the Bio-Man pilot, scenes of people (most in lab-coats) running away amidst chaos. 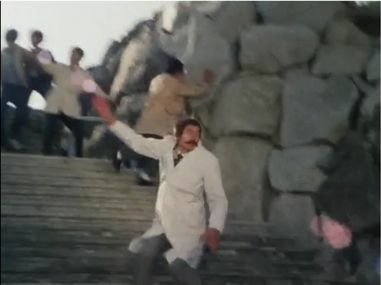 This scene could be considered to be footage of Zadar attacking earth, specifically some kind of science lab (hence the lab-coat-wearing people). A similar event in Day of the Dumpster would be Rita attacking earth after her reawakening. On April 23, 2016, user Moodiecitymadman set up a search team on the Lost Media Forums to find the lost pilot. On August 2, 2016, actor Miguel A. Núñez Jr. was contacted. He confirmed to still have a copy of the pilot buried in a storage unit. Actor Paul Schrier was also contacted and said that he had seen the pilot, but that he doesn't have a copy. However, he did say that it's likely in the Saban archives. On April 14, 2017, a petition was launched to release the lost pilot. 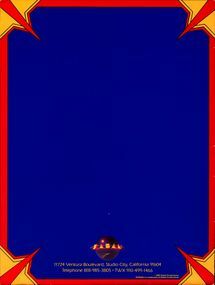 The Galaxy Rangers promo containing footage from Bio-Man.